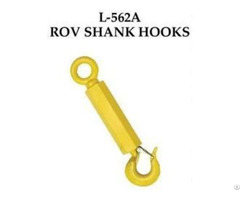 The most complete line of shank hoist hooks. 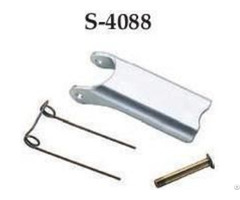 Crosby Shank Hooks are Available 3/4 to 300 metric tons.Hook Identification code forged into each hook. Crosby Shank Hooks are Quenched and Tempered. 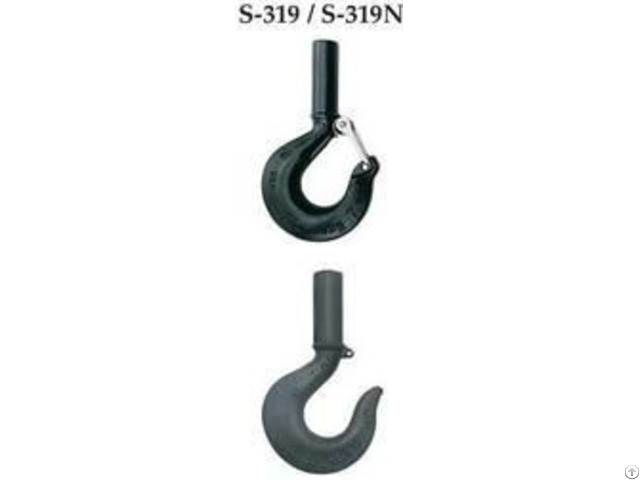 Crosby Shank Hooks are Available in carbon steel, alloy steel, and bronze. Every Crosby Shank Hook has a pre-drilled cam which can be equipped with a latch. All Crosby Shank Hooks from 1-22 t designed with a 4.5/1 safety factor. 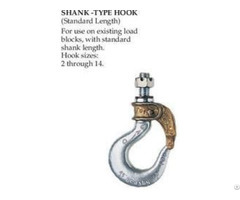 All Crosby Shank Hooks 30t and larger designed with a 4/1 safety factor. All bronze Crosby Shank Hooks are designed with a 4/1 safety factor.